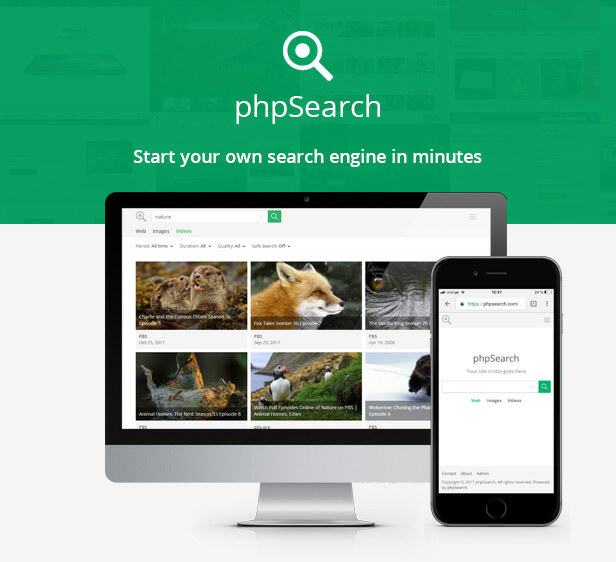 phpSearch is a search engine platform, allowing users search the entire web or your own websites for web pages, images and videos. 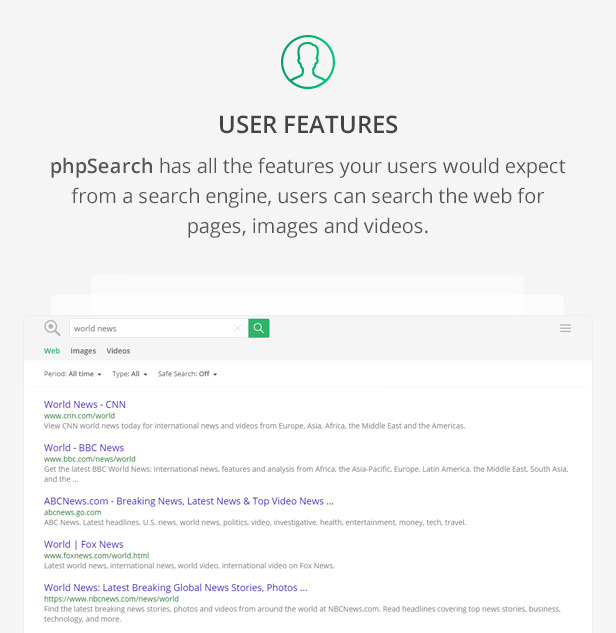 It has tons of filters to refine the search results, it comes with regional search, a light and dark interface and more. WEB SEARCH – The Web Search allows you to search the web or just specific sites, using various filters such as Period, File Format and other operands. 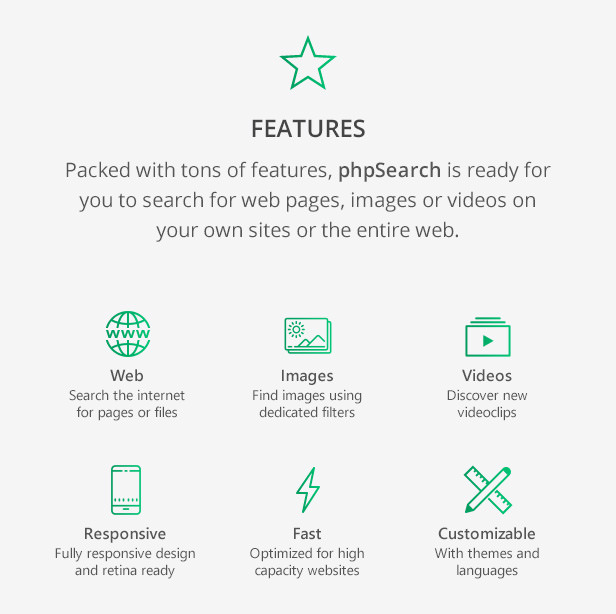 IMAGES SEARCH – The Images Search lets you search for images on the web or specific sites. Refine the resuls with tons of filters such as Aspect, Color, Size, etc. VIDEOS SEARCH – With Videos Search you can search on web or specific sites, filters like Duration, Quality or Period will help you find the video you’re looking for. INSTANT ANSWERS – With instant answers you can get results right on the results page. A few examples would be “New York Map”, “QR Code”, “Stopwatch”, “Time” and more. DARK MODE – Instantly change the website appearence from light to dark mode – great for low-light conditions like working on an airplane or at night. 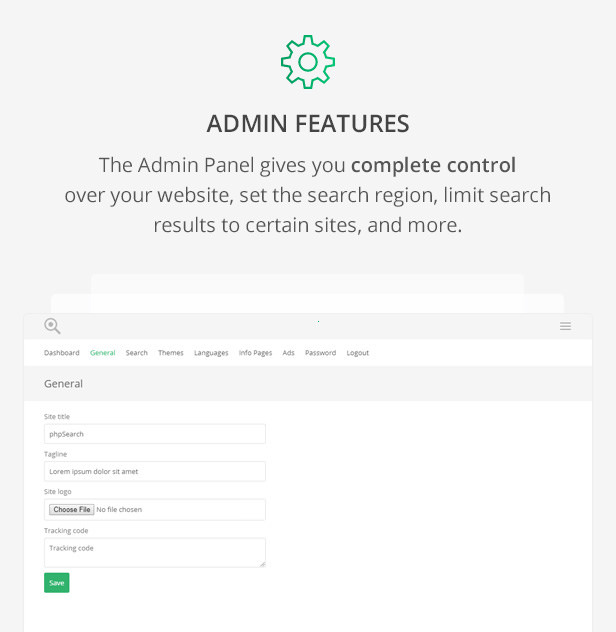 SITE SETTINGS – Complete website control, enable or disable search options, change the search region, the results per page, and even limit the search to specific domains. 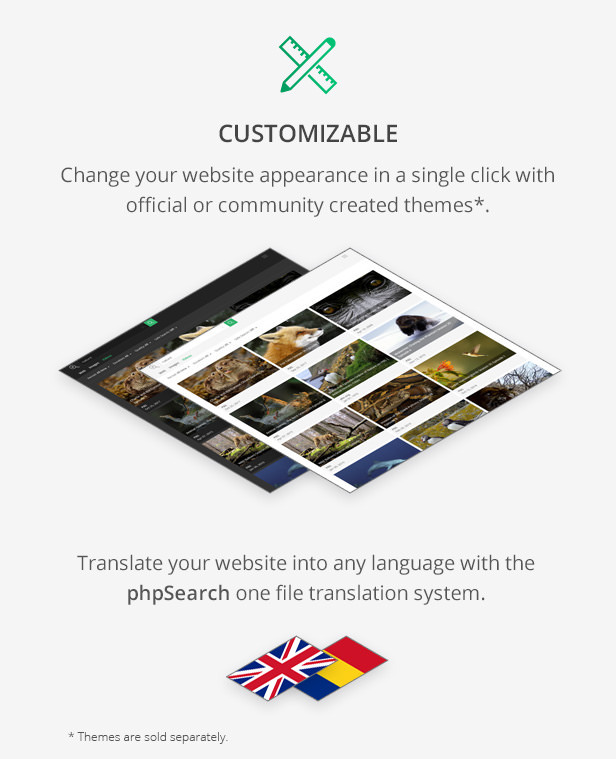 THEMES – The built-in theme system allows to switch between themes in an instant, changing your website appearance to a fresh new look. LANGUAGES – The built-in language system allows your user to feel at home by providing a quick way to switch between multiple languages. ADVERTISEMENT – The predefined advertisement spots allows you to easily insert your 3rd party ad-unit code on the home page or the search results pages. Bing Search API key (View Pricing for S7 tier).